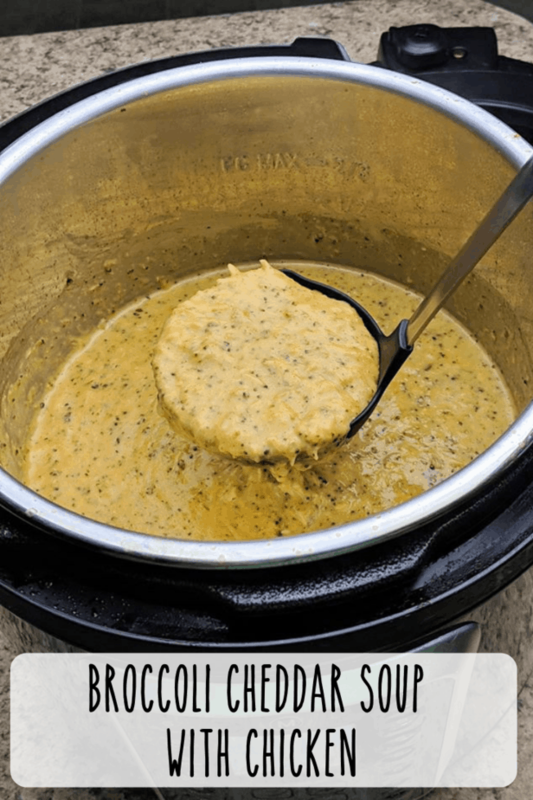 I had never heard of an InstantPot until a few months ago, but now I use ours several times a week! The kids are happy, the wife is happy, and it’s an easy way to cook dinner while staying on Weight Watchers. 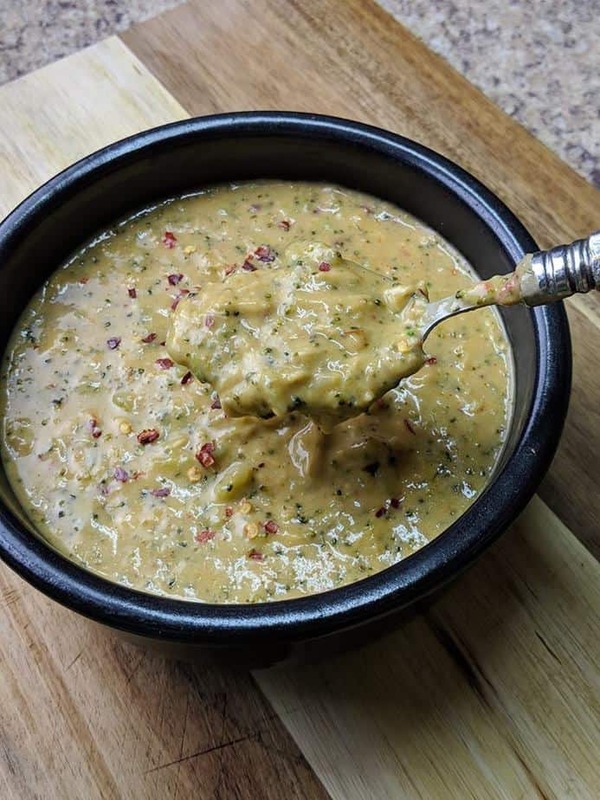 This Instant Pot Broccoli Cheddar Soup has shredded chicken in it, which makes it a completely different soup than you’re used to – all while giving the comfort of that broccoli cheddar soup we all know and love. You can obviously skip the chicken in this recipe but it’s zero points, so why not add the flavor, protein, and texture? 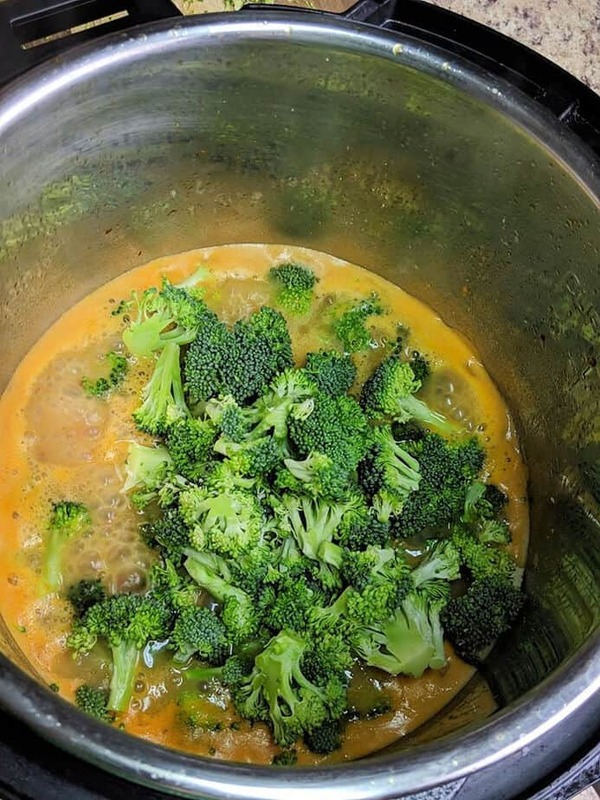 Also, I hate carrots in my broccoli cheddar soup so you won’t see them in this recipe but you can add them (they are zero points, too). See notes below about Weight Watchers points! For a tasty variation add chili garlic sauce instead of the garlic cloves, saute as stated in the directions. Weight Watchers Note: If you use regular shredded cheese, this is 10 Freestyle SmartPoints per serving. If you use fat free shredded cheese, it still melts just not as well, but it’s only 4 Freestyle SmartPoints per serving. Each serving is about a cup. 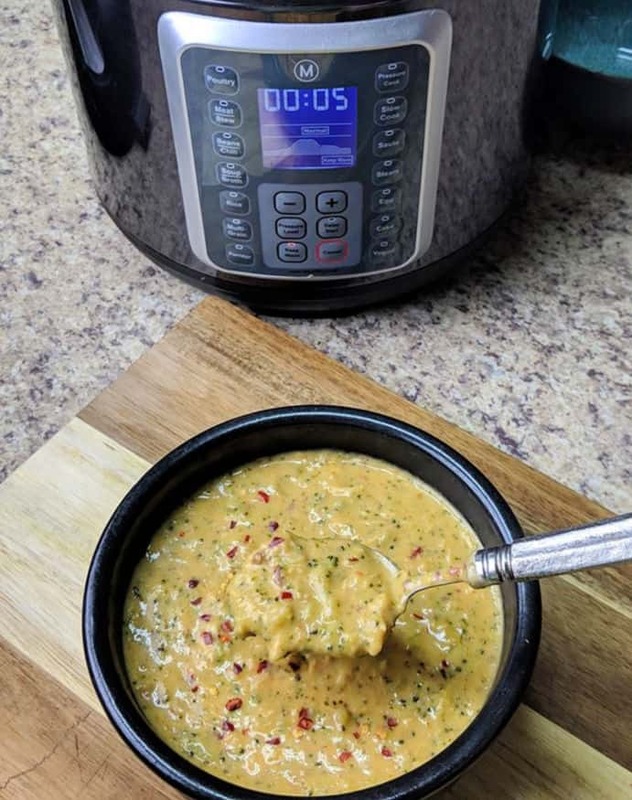 Press the saute button on your instant pot and add garlic (or chili garlic sauce), onion, and vegetable oil saute for 2-3 minutes or until the onion is caramelized. Stir in the flour and let it cook for 30 sec.- 1 min. Stir in broth and continue to mix until no lumps remain. Do a quick release be careful, I move the lever slowly until it is barely open and let it release the pressure that way. Open the lid and turn the pot off. Stir in cheeses until melted add milk and continue to stir until mixed thoroughly.